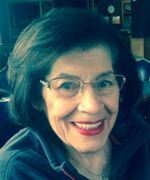 Betty Rose Pianin, 87, of West Bloomfield, Michigan, died on 02 December 2018. The Funeral was held at IRA KAUFMAN CHAPEL on Tuesday, 04 December 2018 at 1:00 PM . Rabbi David Nelson and Cantor Samuel Greenbaum officiated.